Introducing… our Instagram host for the week! Mareike Hachemer is an all star member of the Global Educator Taskforce, a Global Teacher Prize finalist and TEDx speaker she is passionate about the role teachers play in the shaping the future of humanity and planet. As you may know, it is Global Action Week for Education ( 23-29th of April ) . 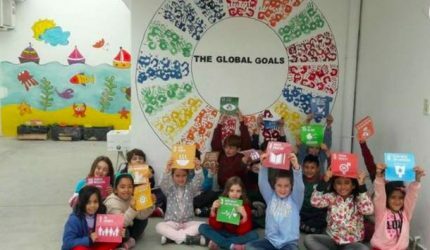 This week is all about the fundamental role education plays in achieving the Global Goals by 2030. We have to #StandUpForEducation ( as this year´s campaign hashtag says ) to ensure accountability for Goal 4. “Hi! I am Mareike Hachemer, a teacher from Germany. I’m excited to take over the World’s Largest Lesson Instagram account for Global Action Week for Education @gce_us . • My first encounter with WLL was actually in 2015. I heard about it through social media and I wanted to be a part of it because it sounded like a fantastic idea to excite our students about the world. 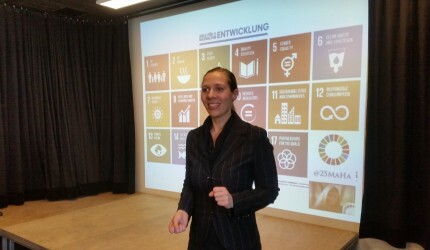 So, I wrote a lesson plan about the Global Goals and translated Serena William’s WLL-video to German. 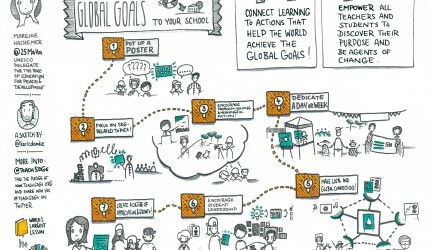 Every since I have become motivated to connect all teachers, students and all learning to activities that help us understand the issues behind the Global Goals. I believe that if we connect learning to actions that help us achieve the Global Goals, we will be a fantastic movement for a better world.